If you’re looking for reliable gutter contractors to complete a project at your home in Edgewood, New Mexico, or a surrounding area, turn to the professionals at ABC Seamless of Albuquerque. 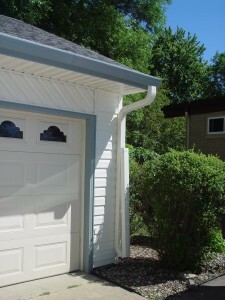 We are proud to offer high-quality seamless gutters that will prevent against blockages and overflows while also enhancing the visual appeal of your home. This is done by utilizing our proven method of custom fabrication that is done on-site at your home to ensure a perfect fit from side to side. Furthermore, at ABC Seamless of Albuquerque we are able to offer a wide variety of additional services that will cover a wide variety of additional home remodeling projects. Our signature ABC Seamless steel siding is the most beautiful and durable cladding material in the industry and will leave your home protected against all moisture damage that could lead to expensive repairs down the line. To learn more about what sets us apart from the rest of the gutter contractors in Edgewood, NM, and the surrounding areas, contact ABC Seamless of Albuquerque today.